0844 800 3295 to get in contact with one of the team. 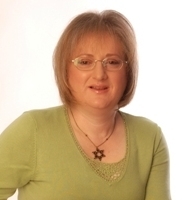 Sue Cohen, author of A Useful Guide to LinkedIn, has more than 20 years experience in learning and development. She started her working life as an accountant and moved into training accountancy and other technical skills, before moving into skills and management training. Over the last 20 years, she has helped many middle and senior managers to develop their management and personal skills including teamwork and leadership, performance management, networking and collaboration skills. For a number of years, she was the senior manager within an in-house training team for a large firm of accountants, managing a team of trainers and the budgets, along with various firm-wide projects. She now works as an independent learning consultant, largely with professional services firms. When she is not writing or with clients, Sue is a busy family person and relaxes with Sudoku puzzles and knitting.